Chester Cathedral and Durham Cathedral Woodlands are both included in the shortlist for the 2016 Hudson’s Heritage Awards. 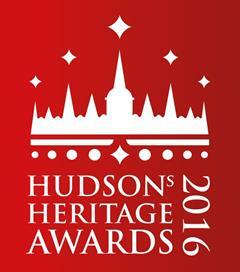 Established in 2011 the Hudson’s Heritage Awards are an independent scheme, judged by an expert panel chaired by Norman Hudson OBE. The awards celebrate the best visitor experiences at heritage attractions in the UK each year including historic houses, heritage gardens, museums, galleries in historic buildings, archaeological or industrial sites and other places associated with the past. Chester Cathedral is nominated as Best Family Day Out, while Durham Cathedral which is implementing a three-year project to manage its Heritage Woodlands and Riverbanks and open up its wildlife and history to visitors and offer people opportunities to learn new skills by volunteering on the project is on the shortlist for Best Picnic Award.